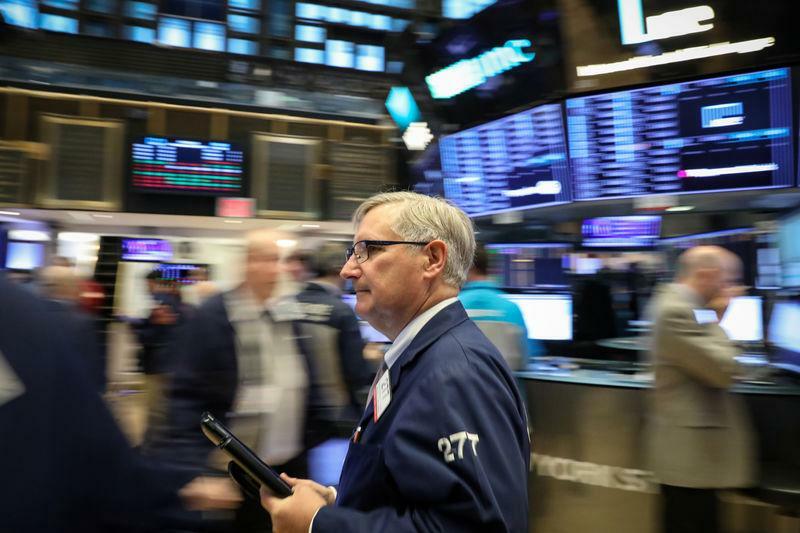 NEW YORK (Reuters) - Wall Street see-sawed on Monday, rarely straying far from opening levels as investors eyed ongoing U.S.-China trade talks, potential congressional gridlock and a diminished 2019 earnings outlook. Both Beijing and Washington expressed optimism about trade negotiations between the world's two largest economies, even as a U.S. Navy mission in the disputed South China Sea provoked China's anger. "It speaks to concerns about the global slowdown that people are growing more aware of," said Robert Pavlik, chief investment strategist and senior portfolio manager at SlateStone Wealth LLC in New York. "It's the effects of tariffs and a somewhat tighter monetary policy. "Guidance has been a mixed bag and trade uncertainty is the major connecting issue," Pavlik added. Shares of Tesla Inc rose 2.3 percent after Cannacord Genuity upgraded the stock to "buy" from "hold." It said the electric automaker's recent price cuts are helping achieve its goal of an affordable Model 3.